Church Insurance in Tallahassee Florida From A Name You Can Trust! Contact Strong Tower Insurance today with inquiries about Tallahassee Florida Church Insurance by dialing 1-800-329-0093. 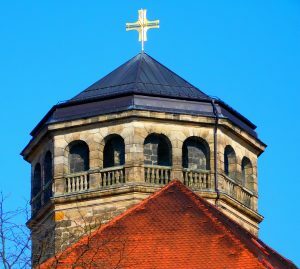 With decades of experience in insuring religious institutions throughout the states of Florida, Georgia, North Carolina, and South Carolina, Strong Tower Insurance is a name you can trust when you need Insurance for your religious institution. One of our courteous agents would be happy to provide you with free quotes over the phone. In part 1 of our series of articles titled “Is This Covered by My Insurance?” we were introduced to XYZ Ministries, a popular New Age Christian congregation with thousands of parishioners. We were also introduced to an elite Russian hacker who goes by the moniker Crypto X.
Crypto X managed to hack into XYZ Ministries’ digital systems and steal $350,000 in church assets and an immense amount of compromising digital information belonging to XYZ members and staff. In part 2, XYZ Ministries discovered that their systems had been hacked. The church’s bank informed them that the method in which XYZ’s assets were taken is beyond the jurisdiction of the Uniform Commercial Code, and thus the stolen money could not be reimbursed. XYZ Ministries then contacts their insurance company hoping to receive some form of reimbursement under their business insurance policy. The ministry’s agent gets in contact with the ministry to explain the complex situation. He begins by informing them that the specific type of crime Crypto X committed is called Computer Fraud. 1. Your money, your securities or your other asset being transferred, disbursed, paid, delivered, altered, corrupted or lost. 2. Money, securities or other asset of your customers or clients being disbursed, paid, delivered, altered, corrupted, or lost from an account that is in your trust or control. The question that remains, then, is whether or not XYZ Ministries’ business insurance policy provides coverage for Computer Fraud. Church Insurance Tallahassee — Why Wait? Call Now! Strong Tower Insurance is a name you can trust when you need Church Insurance in Florida, Georgia, North Carolina, and South Carolina.